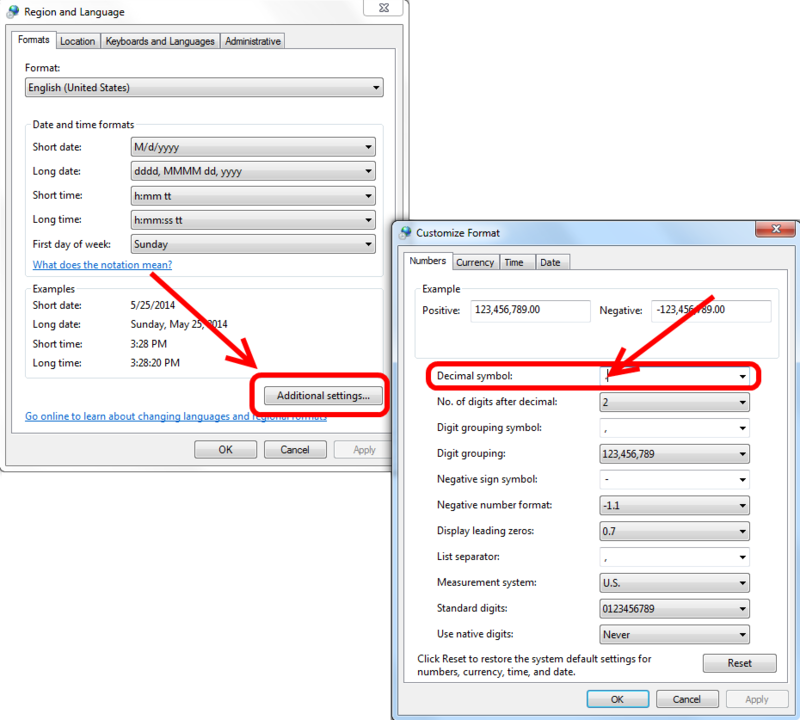 To fix this behavior, there is a regional setting you can change from within Windows’ Control Panel. Go to the Control Panel’s Region and Language settings (as shown below) and for the ‘Decimal symbol’ field select the ‘period’ symbol. Reviewing our product highlights is a good place to begin and will give you a better idea of the kinds of wireless diagnostic tools we develop and support.